The bustling village of Shine Clan has a bit of a wolf problem. Their precious crystal mine has fierce and terrifying howls emanating from it at odd hours, which certainly makes life very difficult for their miners, what with all the screaming and panicking. Thus, the village decides to send in a young girl to investigate, promising her that her ailing mother would be cared for in exchange. 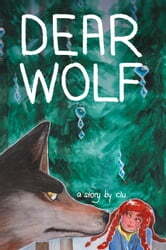 But when the girl descends into the mine, she realizes that the source of the howls is not completely a wolf. Not all the time, at least. 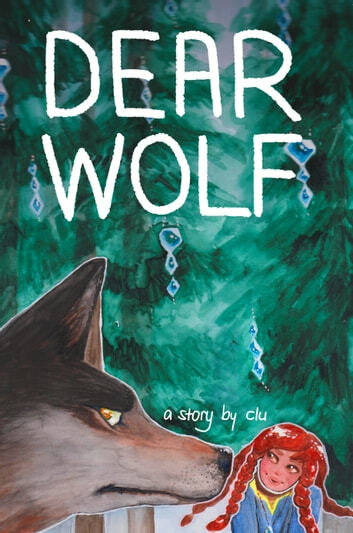 Guaranteed to contain sweaty alchemists, suspicious spies, elderly detectives, and at least one dog of reasonable size and quality, DEAR WOLF is a rollicking story that will hopefully make its readers enjoy the company of dogs, at the very minimum.